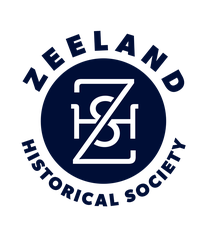 If you ever shop at Amazon.com, please consider using AmazonSmile to benefit the Zeeland Historical Society! The prices, shipping and everything about your shopping experience is the same. It's just that 0.5% of the purchase price is donated to our historical society - paid by Amazon, not the buyer! N O T E: To shop at AmazonSmile simply go to smile.amazon.com from the web browser on your computer or mobile device. You may also want to add a bookmark to smile.amazon.com to make it even easier to return and start your shopping at AmazonSmile. Press smile.amazon.com to get started.